The model A650 can power any instrument that operates on 12Vdc @ 160mA or less. 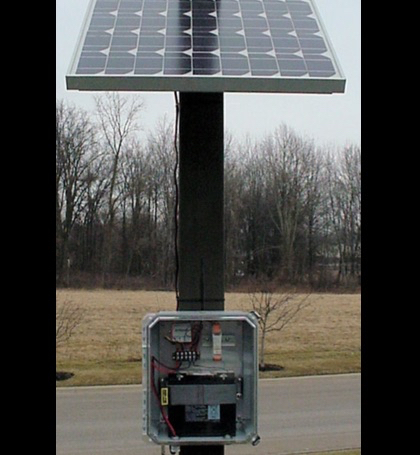 Energy is derived from a 40W mono-crystalline waterproof solar panel. 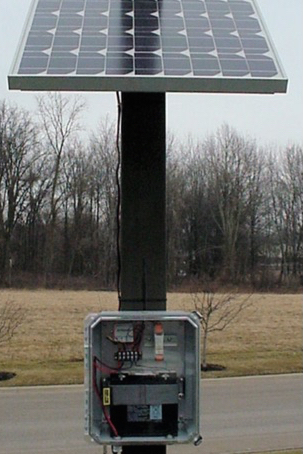 The NEMA 4 enclosure includes a battery charge controller and lead acid battery. Mounting brackets up to 4 inches square or round are available. Options include DIN rail and external antenna connection, YAGI antennas. Ideal for Analynk wireless products or any remote applications that does not have power available.